The Quietus | News | Eric Erlandson: "There's No Hole Without Me". 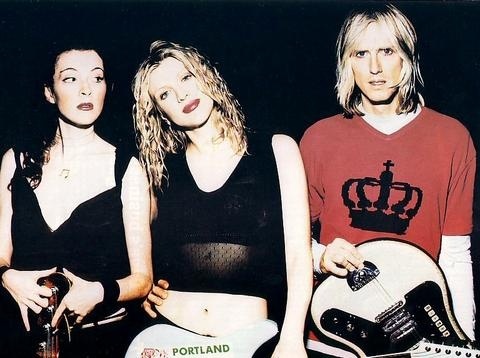 Eric Erlandson: "There's No Hole Without Me". Hole founding member and former guitarist Eric Erlandson has dismissed Courtney Love's attempt to resurrect the band's name for her new project. Love revealed that her next solo album would be released under the Hole name, but Erlandson told Spin magazine this week: "There is no Hole without me. "If [Courtney] has a solo album together, I think that's great. I think she should finish it and put it out and do that." Speaking about his time in the band, he added: "At first, I was a little lost because I had spent 10 years of my life, 24 hours a day being into that band ... but now I can definitely say that I'm happier. "Every day I have something that will trigger a memory. With the 10 years of distance, I can actually get beyond all the emotional baggage. Now I can see things a lot clearer, acknowledge my part in things that went wrong, and also see the good stuff. We had a lot of fun, and I was really lucky."